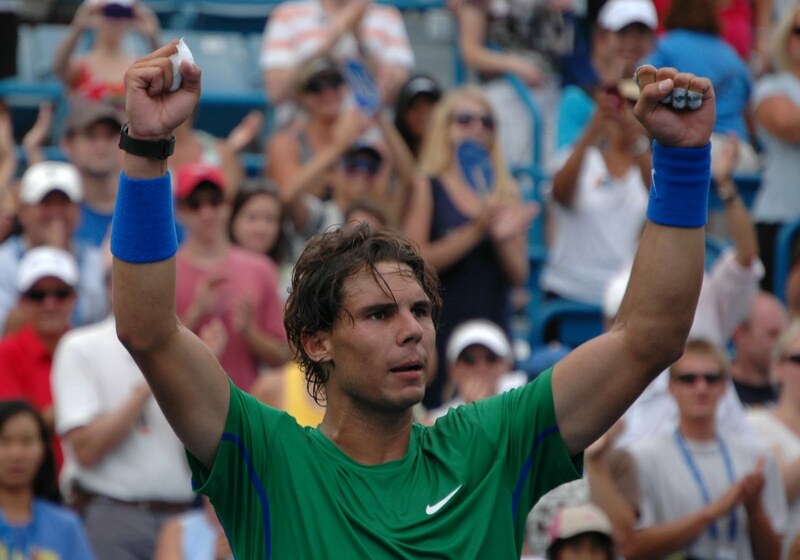 Rafaholics added 15 new photos to the album Rafa Nadal vs Mardy Fish. Nadal: "I burned my fingers with a burning plate"
After the important victory won in the 1000 Cincinnati Masters against Julien Benneteau, Rafa Nadal is already in the quarter [actually R16] and asserts that "I had a little mistrust [*]" during the games. The world number two said: "I started the match well, but then it was worse. But I served better than the previous tournament, softer than last week but with a better percentage." Nadal acknowledged that the rest of the games are complicated in Cincinnati as "on the fast court the ball flies and I did not know if looking ahead or behind." On the right hand injury, the Manacor recognizes that been difficult to hit the backhand: "there were times when the backhand has cost me." "They put a plate on fire and left me with three blisters," said Nadal. The Spaniard broke the Frenchman Benneteau 4-6, 5-7. Now be measured in the second round the winner of the match between Verdasco and Llodra.